. The Circular guides the model construction contract applicable to projects with 30% or more state capital, including: state budget capital, official development assistance (ODA) capital, state development investment credit capital, state-guaranteed credit capital and other state investment capital. 2. 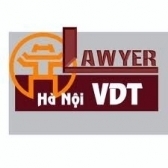 Projects funded with official development assistance (ODA) capital may comply with relevant treaties to which Vietnam is a contracting party and which contain provisions on construction contracts different from those of this Circular. 1. Organizations and individuals related to the signing and the performance of the construction contracts, inspection, examination, auditing and payment of investment capital of construction works under projects with 30% or more state capital.
. Organizations and individual related to construction contracts under projects with less than 30% state capital are encouraged to apply this Circular. Article 3. Guidance on application of the model construction c contract 1. The model construction contract promulgated together with this Circular (not printed herein) consists of two parts. a/ Based on kinds of contracts, parties shall reach agreement on contract prices and payment dossier as stated in the model contract. A contract may be different contract prices; this model contract is set for all kinds of construction contract (including construction equipment installment under construction design). b/ The model contract shall be used between investor and contractors. In case the principal is a general contractor or principal contractor, the parties may apply this model contract. c/ The parties may base themselves on the provisions of the Government’s Decree No. 48/2010/ND-CP of May 7, 2010, on contracts in construction activities and other relevant state regulations to reach an agreement on specific provision on job and work volumes, hiring of consultancy service, contract advance payment level, contract performance security, warranty level, payment schedule, payment level for each payment installment, suspension duration, time of contract termination, work warranty period and similar cases, in their contract. 1. This Circular takes effect on August 15, 2011. Contracts signed before the effective date of this Circular are not required to comply with this Circular. 2. Any problems arising in the course of implementation should be reported to the Ministry of Construction for consideration and settlement.